A celiac diet has helped many doctors and specialists combat a condition commonly referred to as gluten intolerance or celiac disease. Many believe this is one of the main causes or contributors to fibromyalgia and its related symptoms. In fact, there have been many cases where celiac disease is misdiagnosed as fibromyalgia because of the strikingly similar symptoms. The most noticeable similarities are muscle stiffness, sore joints, chronic fatigue and irritable bowel symptoms. Unless experts know what to immediately test for, it can go untreated for quite some time. Celiac disease is an autoimmune dysfunction where a protein from wheat, rye, barley, malts and sometimes oats cause a negative reaction in the stomach. This reaction prevents food from being digested properly and can cause individuals to become malnourished. This lack of nutrients can then lead to a damaged stomach lining, easy bruising, hair loss, mouth ulcers, muscle cramps, nosebleeds and seizures. Note: This is not a food allergy. 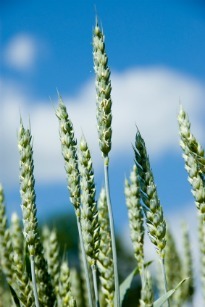 Allergies can sometimes dissipate as time goes on, but this is not the case with celiac disease. Other experts believe that even though some symptoms of celiac disease mimic fibromyalgia's, they're still separate conditions and have different causes. This may be true, but it's worth noting the similarities. It's a condition your doctor may want to test for considering the potentially dangerous side effects if not treated in a timely manner. Foods that must be avoided unless they are labeled "gluten free" are pastas, breads, beers, cookies, cakes, pies, imitation meets or seafood, oats, sauces, dressings, processed lunch meats, crackers, cereals and certain candies. You can still enjoy other foods such as rice, corn, soy, most dairy products, potatoes, vegetables, wine, and other distilled liquors. For a more complete overview of a gluten-free diet you can visit the celiac disease foundation and read their "quick start gluten-free diet guide" to help you get a better understanding of what your options are if you’re diagnosed with this condition. Warning: Do not start a celiac diet before getting tested for this disease. This could cloud the results and make it more difficult for a doctor or specialist to obtain a diagnosis. Simple blood tests can be done to help solidify whether you have this condition. If your tests are positive, then other procedures such as an endoscopy can be used to examine intestinal tissue and perform a biopsy to determine whether areas that help with food absorption have been damaged. If the tests are negative, then another condition could be the culprit. According to Dr R Paul St Amand, an endocrinologist and creator of the guaifenesin protocol, 40% of his women and 20% of his male fibromyalgia patients suffer from hypoglycemia or carbohydrate intolerance which can also cause chronic fatigue, rapid heartbeat, numbness in the fingertips and lips, anxiety, and poor cognitive skills. He believes this condition combined with the body’s inability to eliminate calcium phosphate deposits eventually lead to intestinal, joint and muscle issues as well. This is why it's extremely important to see a doctor or specialist that's familiar with fibromyalgia. They have the capacity to perform basic blood tests, but are also very in tune with the complex and interrelated symptoms these conditions can display. They’ll be able to move down a list of potential causes and determine whether a celiac diet or hypoglycemia diet may be the best option for you. options listed on this site, thousands including myself have been able to get their lives back.